Across all higher education sectors (for-profit, non-profit, public two-year, and public four-year categories), for-profit institutions have been hit the hardest, with a -6.8% decline. Four-year non-profit institutions are 2018’s winner in minimizing their losses this year at -1.8%. These figures are daunting, and any continual drop in enrollment will serve as a catalyst to dire circumstances, up to and including closing. A national, coast-coast trend of institutions shutting down across the country includes Marylhurst, Mt. Ida College and various Chicago campuses of the Art Institute. The declines in both new and continuing enrollment are bringing many post-secondary institutions to the brink of closure. Then, there is the phenomenon of how when the economy is growing, adults tend to stop going back to school. It is after all human nature to avoid all the extra effort of continuing education when things are going well. When the great recession hit ten years ago, enrollments grew by 12% from 2007-2008. Those enrollment growth rates are long gone, and higher education must adapt with economic ebbs and flows. Here are some innovations CAEL has seen across the U.S.
Free community college programs across the U.S. If you aren’t part of one of these initiatives, no need to worry. Perhaps the most straightforward approach we can take is to change the way we approach attracting and retaining adult learners at every college and university. 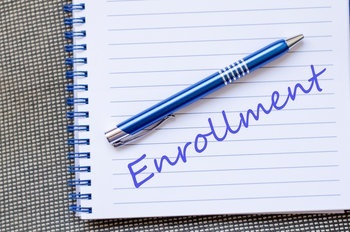 CAEL offers training and solutions on optimizing adult student enrollment management, based from its Ten Principles for Effectively Serving Adults. Our newly developed seminar helps enrollment management better understand the engagement techniques and resources that adults need to successfully enroll, persist, and graduate. How is your institution attracting and retaining adult learners? We’d love to hear your best practices. Stay tuned for a future post on retention of adult students.